Comments: New foliage is coppery turning bright green as it matures. 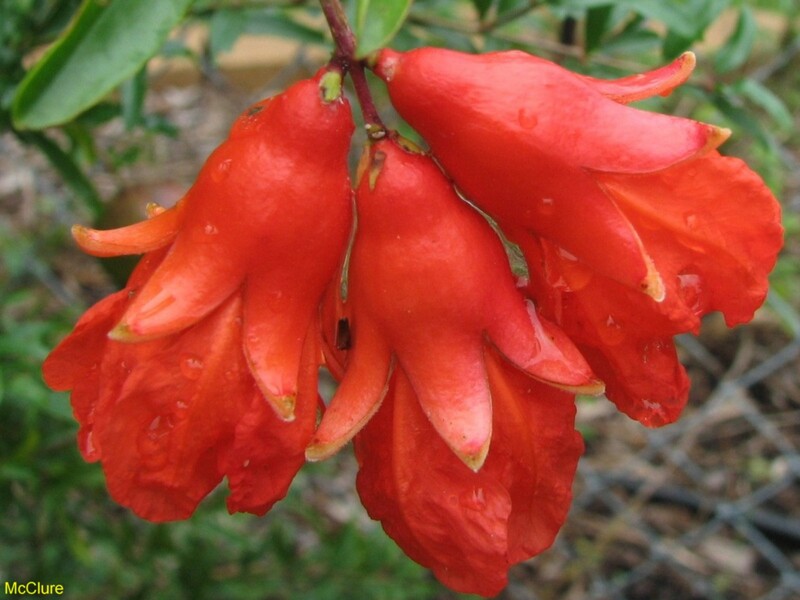 It has heavy, ruffled, orange, carnation-like flowers in late spring and scattered into summer. Has prominent fruit that is edible. Used in screening, massing, and espalier. Pomegranate has drought tolerance.